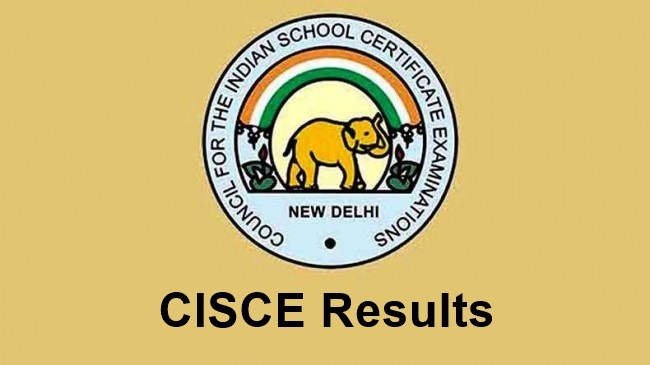 ISC 12th Result 2019: CISCE Class XII Results Name wise, School wise Download from www.cisce.org. The Council for Indian school certificate examination board will be declared the ISC 12th Class Exam 2019 results will be announced in Month of May . The results of the Class X (ICSE) & Class XII (ISC) Year 2019 Examinations will be declared in Month May 2019. The results of the ICSE and ISC 2019 Examinations will be made available through the CAREERS Portal of the Council, the Website of the Council and through SMS. The schools can access the results by logging into the CAREERS Portal of the Council using he Principal’s login ID and password. Enter the Course Code, Candidate UID, Index number and the Captcha. Click on the Show Result button to get the results. Click on the Print Result button to get the Print . To get ICSE Results 2019 on your Mobile SMS ICSE<Space><Unique Id> to 09248082883. To get ISC Results 2019 on your Mobile SMS ISC<Space><Unique Id> to 09248082883. 1. After logging into the CAREERS portal click on the tile ‘Examination System’. 2. On the Menu Bar click on ‘ICSE’ for accessing the ICSE 2019 Examination Results or on ‘ISC’ for accessing the ISC 2019 Examination Results. 3. From ICSE/ISC menu, click on ‘Reports’. 4. Click on ‘Result Tabulation’ to View/Print the School’s Result Tabulation. 5. You may also click on the ‘Comparison Table’ to View/Print the same. In case of any doubt the Schools can contact the CISCE helpdesk at ciscehelpdesk@orioninc.com or all 022-67226106. 1. After logging into the Council’s website, click on the link ‘Results 2019’. 2. For accessing the ICSE / ISC 2019 Examination results, a candidate may select ISC or ICSE, as applicable, from the Course option. 3. For accessing the ICSE 2019 Examination Results, the candidate needs to enter his/her Unique ID, Index No. and CAPTCHA as shown on the screen. 4. For accessing the ISC 2019 Examination Results, the candidate needs to enter his/her Unique ID, Index No. and CAPTCHA as shown on the screen. 5. The instructions to view the results are provided on the results web page. The user may follow the same. Recheck: The Council has made a provision for the candidates to apply for recheck directly through the Council’s website www.cisce.org. In addition, the provision of applying for recheck of the results by the Head of the School through the CAREERS Portal is also available. The online module for submitting the request for recheck of the results will remain open for ONLY SEVEN DAYS from the day of the declaration of the results. (From 14Th May 2019 till 21E May 2019). DigiLocker: The Council shall make the digitally signed copies of the Statement of Marks and Pass Certificate available for the candidates taking the ICSE and ISC Examinations through the DigiLocker facility established by the Department of Electronics and Information Technology (DeitY), Government of India. In addition, candidates taking the ISC Examination will also be provided with digitally signed copies of the Migration Certificate. The digitally signed documents shall be available after 48 hours of the Publication of Results through the DigiLocker. Signing up for DigiLocker (digilocker.gov.in) is easy – all you need is a mobile number. The mobile number will be authenticated by sending an OTP (one-time password) followed by selecting a username and password. This will create the DigiLocker account. After the DigiLocker account is successfully created, one can download the digitally signed documents issued by the CISCE. About CISCE Board: CISCE Board is known as the Council for the Indian School Certificate Examination which was established on 3rd November 1958. The Board is having its head quarter in Delhi, India and English as the official language. CISCE Board has divided its 10th and 12th respectively name as ICSE and ISC. CISCE Board mission is providing the valuable education with today’s upgraded technologies. The Board is catering the needs of the students also giving the freedom to the students for new experience with new ideas.